Another family with an autistic child loaned me this book when my son, Michael, was first diagnosed with Autism. It is a great book written by both mother and son allowing you to see both perspectives. The boy (as an adult) explains why he did things and how he couldn't help but do things over and over again without reason. For instance, he would activate the garage door and run to the second story or to various other points in the house to see the door lower/raise from different angles. This book is very emotionally charged and ends with the boy as a man holding down a job and living in his own apartment. It gave me some hope when I thought that there was no hope left. This book is an update of the original which is now out of print. If every parent of a newly diagnosed child would read this I believe that they'd feel a lot more confident about the future. YA-- Autism is generally considered incurable, but Sean Barron and his mother have proven that it can be overcome. This fascinating story tells how the boy, who seemed normal at birth, became increasingly uncontrollable with bouts of repetitive activities and no method of communication. Despite recommendations that he be institutionalized, his parents insisted that he go to public school and, eventually, he was able to change his behavior himself. This story is told in the dual voices of both mother and son. The insights that the young man now has into his behavior and what he remembers from his experiences are riveting. A fast-paced and engrossing book. Review by Dorothy Addison, Woodlawn School, Fairfax County, VA. 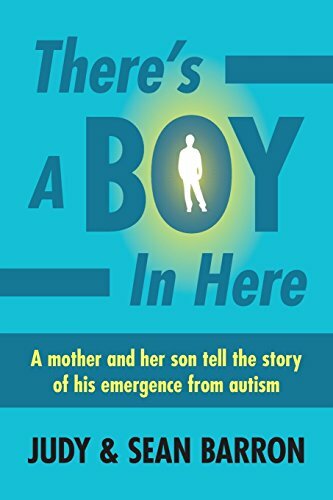 This is the compelling and unique story of the Barrons' long and often painful fight to "reach" their autistic son and help him live a normal life. Judy Barron narrates most of the story, giving an in-depth account of son Sean's early years, his behavioral problems, and the terrible inadequacies of the medical field in providing care for him. Sean provides an extremely interesting counterpoint to his mother's stories. His explanations for various behaviors (e.g., repeating the same action over and over, which he claims gave him a sense of security) is often different from how his parents interpreted them. This interesting book for the general reader provides insight into the world of the autistic child. Highly recommended. Previewed in Prepub Alert, LJ 11/15/91. Review by Jennifer Langlois, Missouri Western State Coll. Lib., St. Joseph.